Yesterday came some set photos showing off the Batmobile being used by Ben Affleck’s Batman in the upcoming Zack Snyder film “Batman v Superman: Dawn of Justice”. 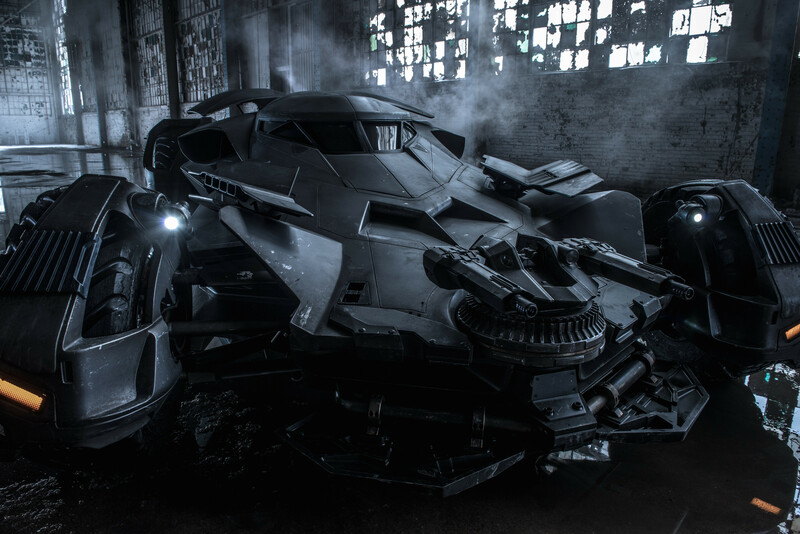 Now, Snyder himself has unveiled an official high-resolution photo of the vehicle’s front through social media. Henry Cavill, Ben Affleck, Gal Gadot, Amy Adams, Laurence Fishburne, Diane Lane, Jesse Eisenberg, Jeremy Irons, and Holly Hunter star in the film which is currently shooting in Detroit.